Interested in bringing your podcast to life with KZUM? Our Podcast Partners program might be what you’re looking for! Read on and apply below. Please note, current opportunities are extremely limited. We are committed to doing this right, which means starting small. Only a handful of producers are likely to be accepted in 2019, but we hope you will remain interested as we grow this program. The KZUM Podcast Partners program offers individuals and groups in the Lincoln community the opportunity to utilize KZUM’s production studio, equipment and online distribution systems to produce compelling original podcast programs. To support producers of original content who are motivated to create podcasts that enrich the perspectives of KZUM’s audience as an extension of the station’s mission to inform and entertain as a hub of arts, culture and community. Anyone living in the Lincoln area may propose a podcast series. Producers accepted into the program must sign the Podcast Producer’s Agreement and be an annual donor to KZUM. Simply submit the online application at the bottom of this page. There is no rigid model we are seeking, but these factors will weigh positively: focus on arts, culture, social issues, and/or news and public affairs; an emphasis on localism (Lincoln and Nebraska); creativity and originality; engagement potential; technical ability and experience. Due to licensing issues with most copyrighted music, we are not currently accepting applications that propose a music format. Initial studio and equipment training. Hosting via KZUM.org, Soundcloud and other distribution platforms. Online promotion (website and social media channels). Broadcast promotion of podcasts on KZUM. Sign the KZUM Studios Podcasts Partners agreement. Commit to producing a two-episode pilot prior to the first release date. Assume responsibility for the KZUM facilities and equipment when in use. Complete all stages of production independently. Commit to a regular production schedule. Go no longer than four weeks without publishing a new episode. Not seriously alter the focus of the podcast from the approved proposal. 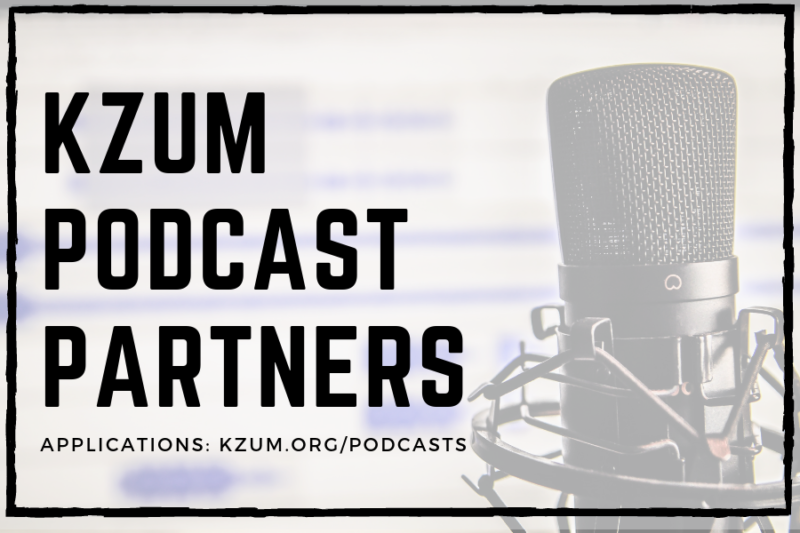 As a podcast producer, you will own the rights to your own content but you must grant KZUM a non-exclusive right to distribute content you produce as part of the Podcast Partners program in any medium that KZUM sees fit.